Son and grandson of internationally renowned artists David and Pro Hart, Jake (Jacob) Hart has seen a lifetime of creativity. Born in 1992, Jacob was immediately thrown into the culture and mind of the art world. While constantly surrounded by a wealth of skill and knowledge at home, he also picked up studying art at school and continued with it until graduating. After finishing he left to study at a private design college; from there he went on to work as a graphic designer. 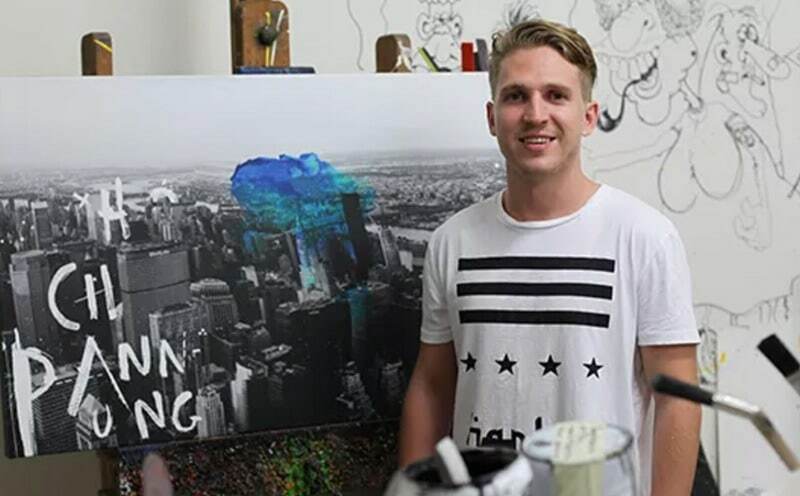 He is now a Creative Director at a well-established company in Brisbane and Jake is proving himself a force in the creative industries. The “Identity” series is his breakout as a professional artist and sees him working with his own designs. The series is an in-depth exploration of the human condition, expressing an understanding of the pursuit of identity as a quintessentially human trait. The urban style is a launch pad for scenes, which embody “the desire to be more than just a number”. Jake’s designs are a combination of digital and hand painted images that are then photographed and altered digitally, with a hand-touch embellishment unique to each piece. The stretched canvas reproductions are in editions of 25 and each is personally signed.